This is such a timely review – I’ve been thinking of what book to get with the 10% discount coupon from Book Depository, and this sounds like a good choice. I feel very similar to you — I didn’t expect to fall in love with Wanderlove, I expected to just like it, and it totally surprised me. ALSO, I think you sound well traveled, at least compared to me. I have not even left my continent. SO, yeah Europe, that’s kind of a big deal. 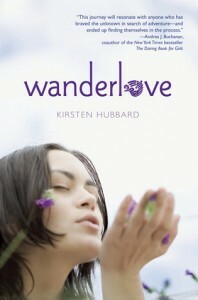 I love seeing the Wanderlove LOVE!